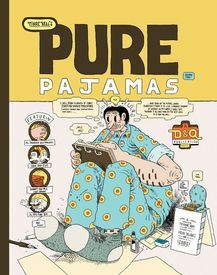 There's a little bit of everything and something for everyone in this fulsome, full-size hardcover volume that collects odds and ends from the last ten years of Mr. Bell's illustrious Canadian comics career, in both black and white and full color. 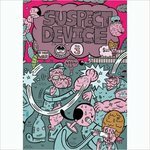 Bell's comics strongly evoke the glory days of R. Crumb's early psychedelic comics as well as those of fellow Canadians Julie Doucet and Chester Brown. But the comparisons stop there, as Bell's work is a wholly original synthesis of these sources and much more. Anyone not already familiar with Marc's work should take a gander at some of his work here. All the rest of us already know it's the cat's pajamas.